In the test to evaluate the upper limb function, there is Simple Test for Evaluating Hand Function (STEF). This test is performed for one subject by one examiner. When the subject moves to grab the object, it is evaluated with the accuracy and speed. However STEF has problems that takes labor and massive time. In addition human error happens due to huge data management. 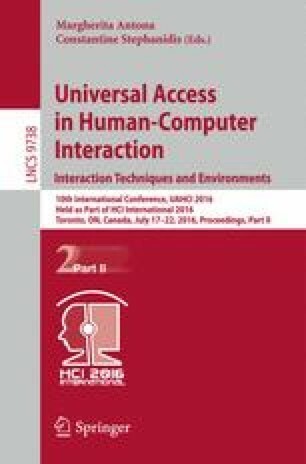 In order to solve these problems, this study proposes an automated system of the simple test for evaluating hand function using Leap Motion controller to conduct a STEF on the PC screen. Leap Motion controller is a sensor that focuses on only the finger and hand motions. The proposed system could automatically evaluat the hand motion of the subjects by moving virtual objects on the screen. As a future challenge, there is a need to evaluate attracting upper limb function disabilities. Authors would like to thank Mr. Aoki for making software in this study.